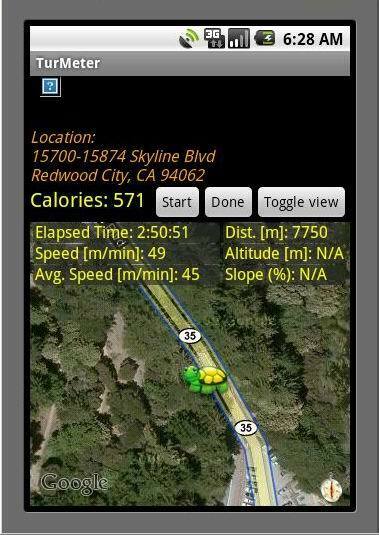 TurtleMob Releases Free GPS Pedometer and Calories Counter for Android Mobile Phones. 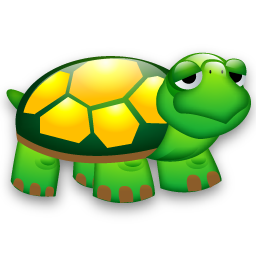 Mobile development firm TurtleMob, has released "TurMeter", a new GPS Pedometer and Calorie Counter in the form of software application targeted at mobile phones with Google Android operating system. 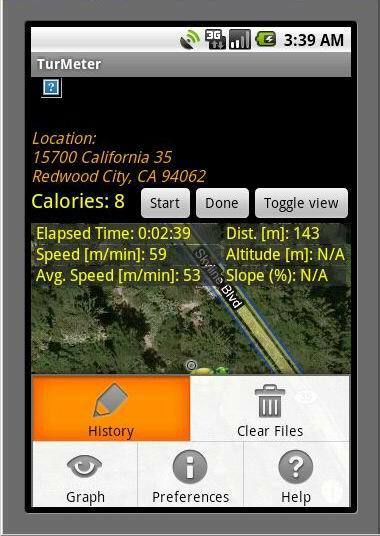 Based on the latest GPS Mobile technology, this free application enables users to watch their geo-position, altitude, map, current address and also measure the distance walked, walking speed, walking time and calories burned directly via their smartphones. 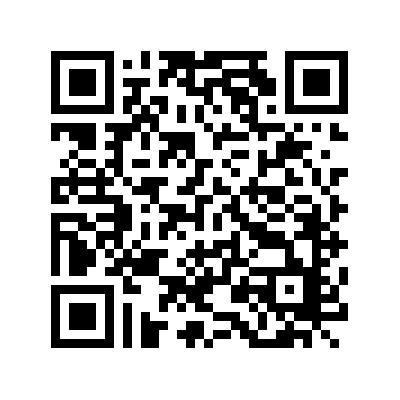 All location maps are downloaded via the mobile network from Google Maps, giving the user the satellite view of the current position. 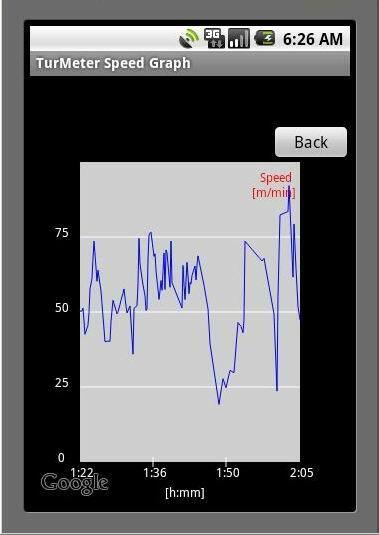 An intuitive user interface enables easy navigation: storage of history of walks and seeing the graphs of instant speed. 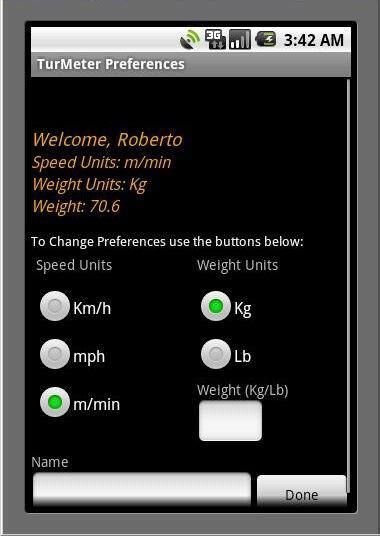 "Turmeter" is targeted at people interested in walking and measuring their performance as well as in comparing progresses of calioies burned in time.